October 2012 – Our Job is Done at Kokolopori. After our years of involvement, and having contributed significantly to the health and development of the Kokolopori community, we’ve decided that the point has been reached where it’s feasible for the clinic to be sustained through other avenues, and it’s thus appropriate for indigo foundation to bow out. Thanks to our generous donors, careful application of funds and diligent project coordination by Leanne Hankey, we’ve not only been able to reach this stage, but have about 15% ($12,000) of the money unspent. We have new African projects coming on-line in the near future, as well as those continuing in India, Afghanistan, etc, and trust that donors to the Congo work will have no objection to applying the surplus funds to those projects. Unless those donors wish to suggest any other application of their share of the surplus, and notify us of those wishes by the end of the year, we will move the surplus to core funding and apply it to our other work. To all who have supported the Congo project, our sincere thanks, and please be assured that surplus funds will be applied to assist other communities needing our support. Internationally acclaimed Australian-based film company, VISIONQUEST, recently sent a film crew to DRC in order to develop and produce a 3D Theatrical Feature and Multi-platform project called “Walking with the Great Apes”, of which the Bonobo are one of the endangered species. The Bonobo Conservation Initiative (BCI) hosted the film crew as they focused on the Bonobos in the Kokolopori region and, according to Sally Coxe (Director of BCI), the Aussie crew really seemed to care about the projects and how they would portray them to the public. Such media exposure will hopefully draw concentrated support to the clinic which is vital to the success of the overall conservation and development program. 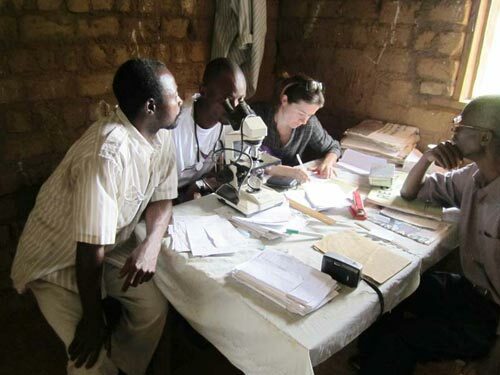 The clinic is now benefiting from a national program to combat Trypanosomiasis (sleeping sickness). 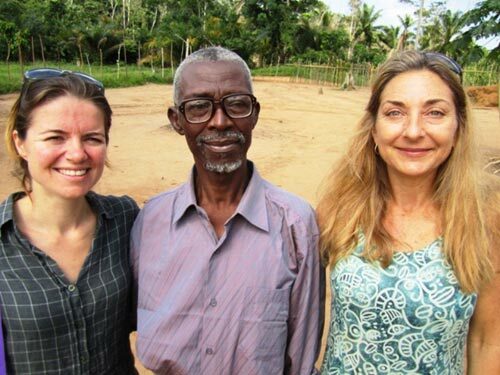 The combined efforts of the project’s technical advisor, Veronique de Clerck, Ingrid Schulze (former director of KFCSCP) and the DRC team, resulted in the arrival of Medicines Sans Frontiers at Kokolopori to conduct a thorough survey. The results of this survey now qualify Kokolopori as one of the endemic zones of Trypanosomiasis in DRC. Subsequently, MSF has set up Trypanosomiasis testing procedures at the clinic and they also provided associated medicines and supplies (including four more beds and mattresses). The community who have relied mainly on traditional medicines and knowledge for treating malaria are now adopting preventive measures against the disease and use clinic medicines to combat it. Subsequently, there is a reduction in malaria, although there is still a long way to go in education, prevention and treatment before malaria loses its place as the community’s major ailment. Dr Saidi and his staff have mastered the drug stock management system introduced by Veronique which resulted in the stock lasting six months, instead of the usual three to four. Our major focus is helping the clinic become a government registered Centre de Sante (basic health clinic) which has been a long and challenging process. Apparently, there was a mistake in the handling of the clinic’s registration last year which has delayed the process, along with a need for the clinic to be better equipped to meet the Ministry of Health’s ‘Centre de Sante’ standards. indigo foundation is in the midst of a sixth and final year of supporting the Bonobo Health clinic. Against all odds, the clinic has developed from nothing in 2007 to a point where it is now servicing members of the Kokolopori community for such maladies as malaria, respiratory tract infections and gastro-intestinal diseases, as well as reproductive health needs. Leaving behind a clinic with supplies, logistics and skills to continue its mission. Emily Berry, from Lennox Head, NSW has recently joined the Congo project team and we are extremely happy to have her! Emily has recently returned from DRC where she was a Log Admin for Medicines Sans Frontiers. Emily brings to the project her understanding of health administration systems and she is fluent in French, which has obvious benefits. Jordan Chanler-Berat (an emergency medical resident in Brooklyn, New York) has joined the partnership and will initially be raising funds to support the clinic and help it get to the standard of Centre de Sante. While Jordan is not directly involved with indigo foundation fund raising, we welcome his efforts to raise awareness and support for the clinic. 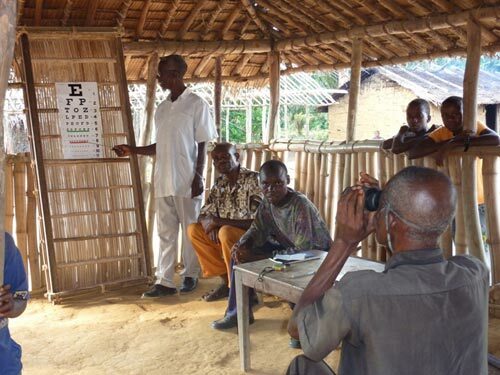 The Bonobo Health Clinic operates in Kokolopori, in the Democratic Republic of Congo (DRC), which is situated deep in the heart of the Congo Basin rainforest. The focus of Phase 1 of the project (2007-2009) was: the prevention of malaria, particularly in mothers and children, through distribution of insecticide treated nets, with some education and malaria treatment; support of health and sanitation education; and the provision of nurses’ salaries, along with basic pharmaceuticals and medical supplies. The development of the Bonobo Health Clinic into a professionally run, government registered Centre de Sante. Improved community awareness of the causes of common illness and disease, as well as preventative measures generated through public health education on malaria, tropical diseases, sanitation & hygiene, reproductive health and nutrition. 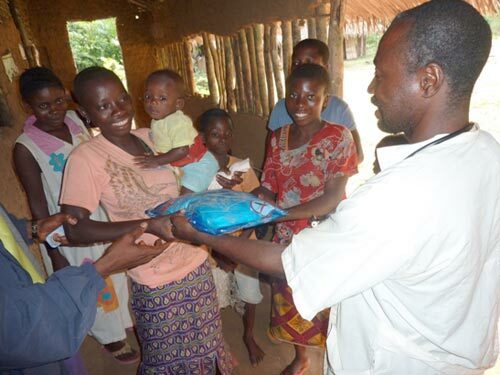 Strengthened capacity of Vie Sauvage to successfully manage the health program.